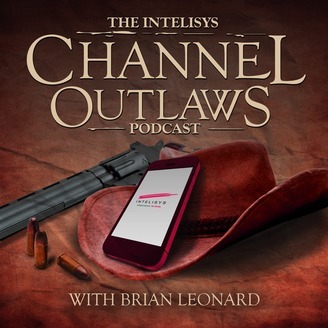 Channel Outlaws is a weekly podcast about the top performing entrepreneurs and salespeople who sell technology, cloud and carrier solutions through the global indirect channel. Why do we call them outlaws? Because these are the rebels, the trailblazers, the square pegs in round holes who ditch the playbook, defy the rules and do whatever it takes to optimize business technology solutions and move society forward in an ever connected world. They’re more important now than ever, as the channel reaches a tipping point. 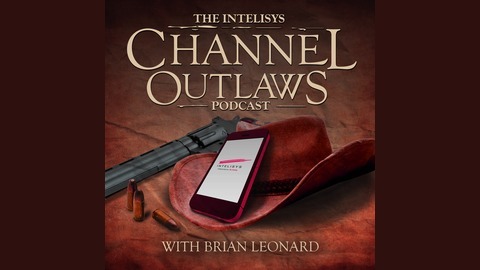 The Channel Outlaws Podcast was born out of a 23 year crusade to support these technology advisors who change the world. Today you can take control and radically transform your own business by learning from the best of the best and modeling their success. Host Brian Leonard is a successful entrepreneur, management consultant, startup advisor and channel growth-hacking veteran who today leads the marketing department at Intelisys (a ScanSource company), the largest technology services distributor of telecommunications and cloud services in the United States. He’s worked directly with business owners for decades, with a single-minded, relentless focus on discovering the simplest strategies for achieving peak performance. In this podcast, Brian digs deep to uncover the strategies, tactics and best practices that top channel partners use to transform their businesses and upgrade their lifestyles to achieve independence . . . without limits. E40 - Chris Voss of the FBI and The Black Swan Group on psychology, power & influence in winning negotiations. E38 - Coach Tony Palmucci of Thinking Without Restrictions - On coaching high performance Sales Partners, overcoming entrepreneur limiting beliefs, creating a life-by-design, and more.